This is easy to make and tastes good. 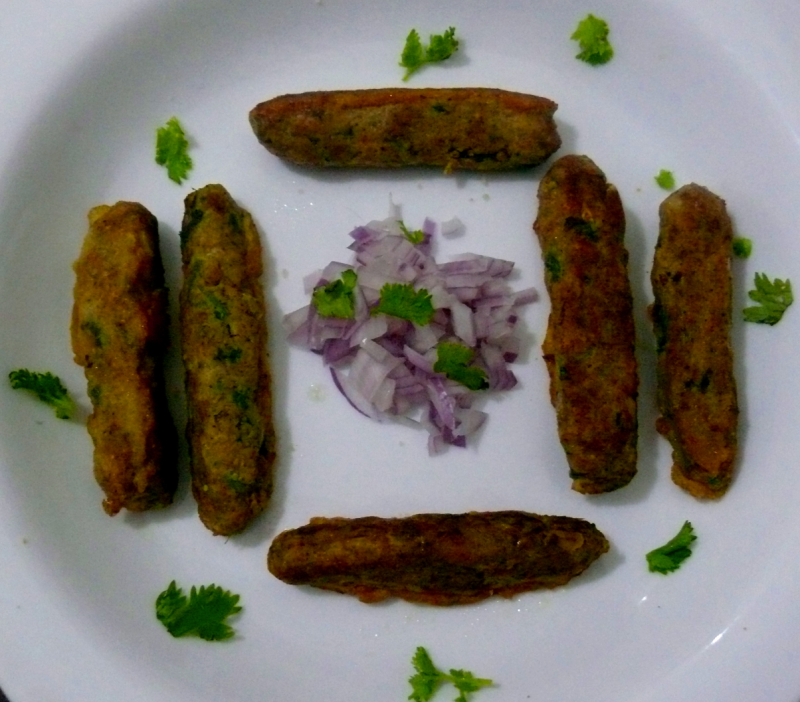 This dish made of chicken(minced) dish made of meat and quickly shallow-fried to a golden colour. try then don't forget to add your comments. Mix all the masala (except eggs)and the minced chicken well. Shape this mixture into sausages and dip this in the beaten egg mixture. Heat oil in a tawa and shallow fry these sausages shaped mixture on both sides. Garnish with onion slices and coriander - mint leaves. lovely mouthwatering , I like it thanks. You can saute the minced chicken-mixture(except beaten egg) in 2 tsp oil for a min or 2 before shaping them like sausages to improve the taste.Thank u Urooj. Add 3 sambar onions or onion - 1 no. (medium sized) not 2 no.s- ground coarsely and 1 tsp lemon juice(optional) to improve the taste.